Mark 13:3-13 Jesus “Answers” When Will it Happen, and What Will be the Sign? 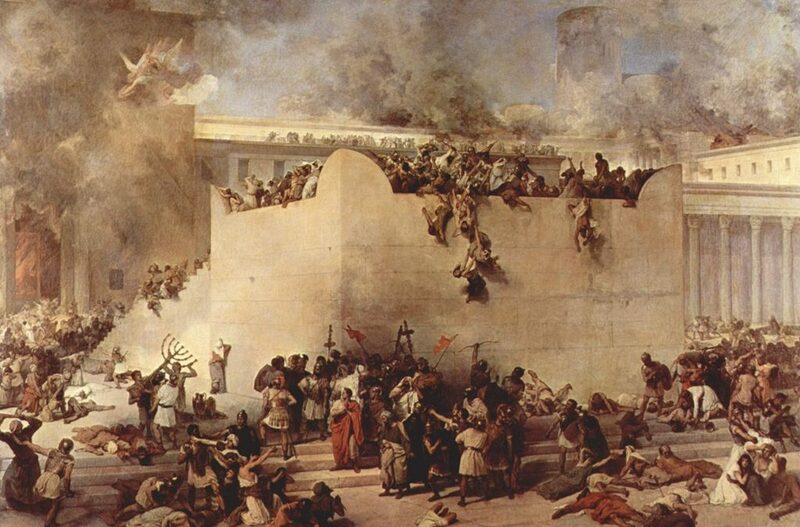 The immediate context would indicate that they are asking about the destruction of the temple. Despite the fact that the section header in your Bible probably says something like “Signs of the End” here, there is nothing explicit in this section (through v. 13) to indicate that Jesus is speaking about the end of the age! He could be speaking in eschatological terms, but let’s withhold judgment for now and not just assume that all of this is “End Time Prophecy.” There is also a significant question as to whether Jesus actually answers the disciple’s question or if His answer is intended to redirect their thinking toward more important issues. Jesus begins His “answer” not with “here is the first sign,” but with a call to discernment: don’t let anyone deceive (or mislead) you (v.5)! Many people will be led astray by false leaders claiming divinity or claiming to be the Messiah (v. 6). Another “sign” will be “wars and rumors of wars” but this is not a sign of the end (v. 7). These, along with earthquakes and famines are hardly reliable predictors of exact timing of future events. For nations have been rising against nations for a long time, often accompanied by the results of war, like famines. These are not signs of the end, but merely “the beginning of birth pains” (v. 8). Remember, the last days run all the way from the coming of the Spirit at Pentecost to the final consummation of the kingdom of God (Acts 2:16-17). With verse 9 we see a shift to Jesus teaching His disciples how they are to behave in these future circumstances. Persecution will be the context for worldwide mission (Tim Geddert, Mark, p. 308) – v. 10! In persecution, disciples are called to steadfastness! 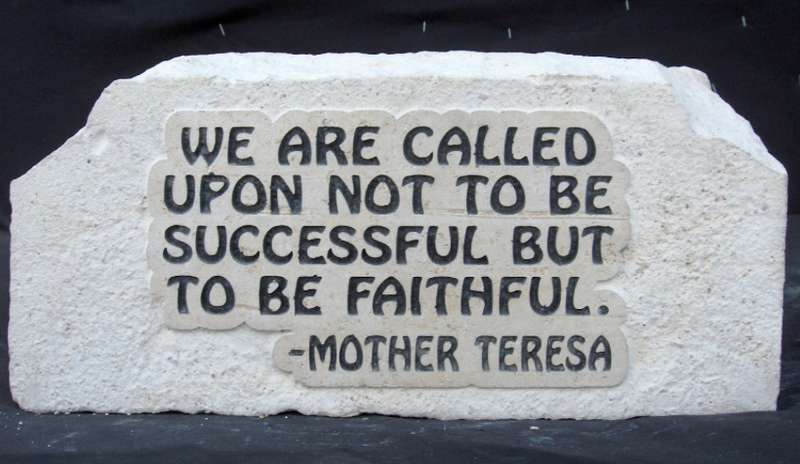 But the call upon the disciple of Jesus here is to endurance! Endurance “to the end” may indeed extend beyond the original disciples to Mark’s audience, to us, and even future followers of King Jesus (yes even those alive just prior to the final consummation of His kingdom). Aha! I’ve found it. Here it is in some obscure passage in the book of Zechariah: “When the king of the north shall pass wind, he shall offend the king of the south. And the king of the south shall make war against the king of the north.” And this, my friends, tells us that we are living in the very last days just prior to the great tribulation!! I know, its ridiculous (and crude) but I think you get my point. 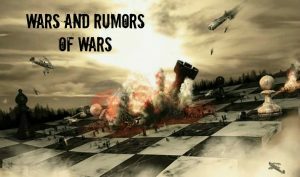 Wars and rumors of wars are not signs signaling the end (they are “but the beginning of birth pains” – v. 8)! Deceivers have always used them as fruitful context for apocalyptic speculation (remember, these same deceivers claim to be Jesus Himself in v. 6). But Jesus’ exhortation to His disciples in this context is “do not be alarmed” (v. 7).